Date: Sat Aug 4th, 2018.We want to help you show your appreciation and recognize leaders, mentors, and providers of excellence in the realm of health and fitness at the awards ceremony at the 2018 WA State Fitness EXPO. Do you know of a business or professional that provides an outstanding service? Do they deserve special recognition? Nominate them into NW Fitness Magazines….Best of the Best in the NW contest – Recognition of Excellence Award. Best in NW voting platform link attached to your recognition of Excellence page. Invitation and two tickets (G/A Expo only Tickets) to NW Fitness Magazine’s, “Best in the NW” awards ceremony within the WA State Fitness EXPO, Aug 4th in Auburn WA. 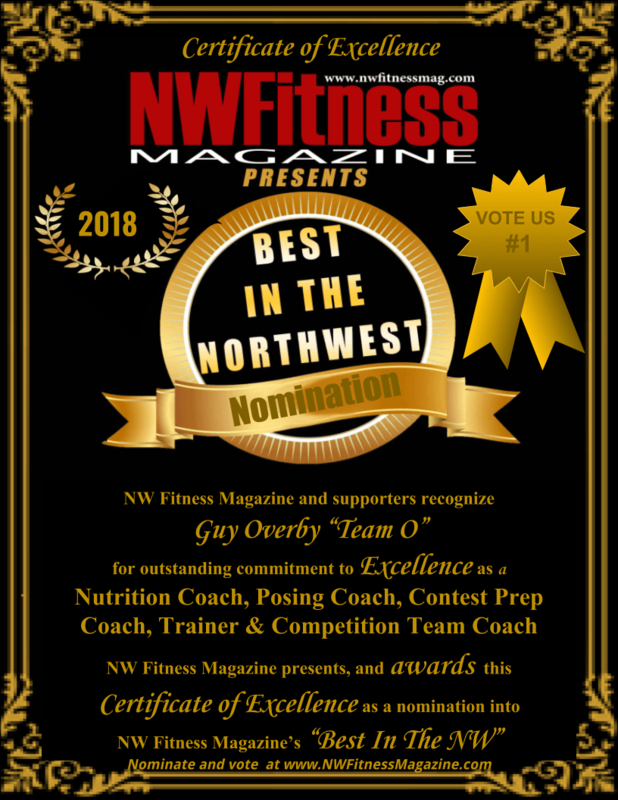 NW Fitness DirectoryTestimonials – Post a review, or see what people are saying about Guy Overby “Team O” on his listing on the NW Fitness Directory. 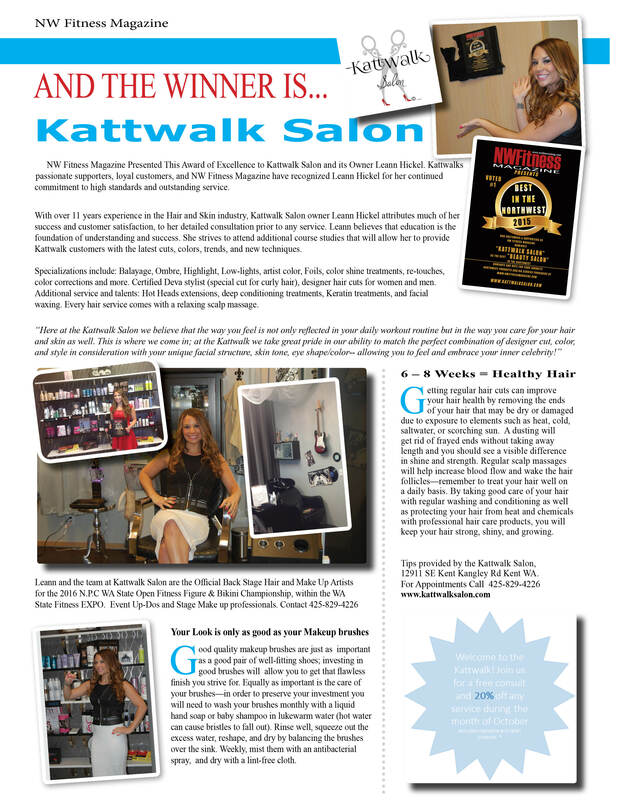 Click here..
NW Fitness Magazine Feature Example: Salon, Kattwalk Salon.